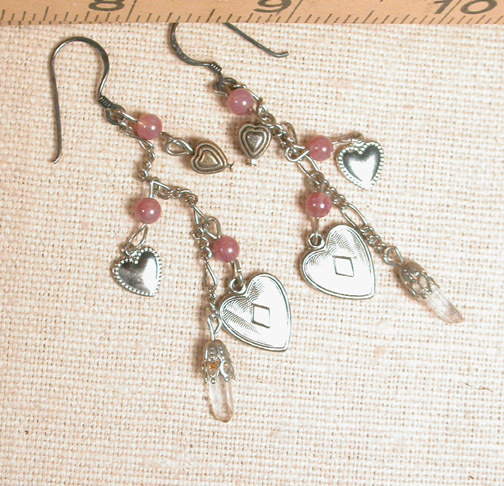 Hearts Galore, all differently patterned, dangle in matched tassel style from oxidized sterling French wires to just 3". 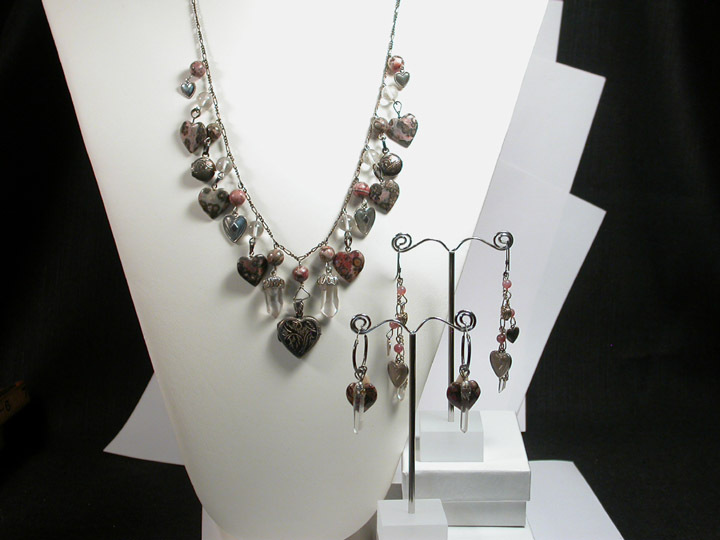 Delicate matched natural Arkansas rock crystals in silver filigree caps highlight, while mauve pink fancy jasper beads blush along. Puffed, dishy and engraved hearts...all for you....Valentines for every day! See our other Hearts Galore, shown in the inset photo, and make a matched set!